This guide covers digital research tools for Duke University graduate students. 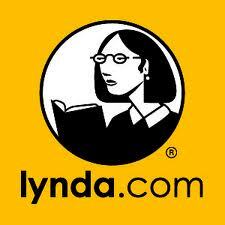 Duke patrons can access this excellent suite of technology tutorials through the campus subscription to lynda.com. Tutorials range from MS Office, video/photo/audio editing software, social media tools, and website design & creation. Learn more here. Information about eprint, photocopying, and scanning options at Duke. Features cloud-based tools that let you store, share, and access your files anywhere. Provides comparison of Google Drive, MS Skydrive, Dropbox, and more. Features the major citation tools available at Duke: Endnote and Refworks. As well as free citation and eresearch tools like Zotero, and Mendeley. Features a number of free, easy-to-use presentation tools. Features a list of apps for your smartphone or tablet to allow you to view, edit, and share documents on the go. A directory of digital research tools for scholarly use. Example categories: take notes, visualize data, edit images, write collaboratively, organize research materials. Keep tabs on emerging technologies related to teaching and academic productivity tools from this Chronicle of Higher Education blog.